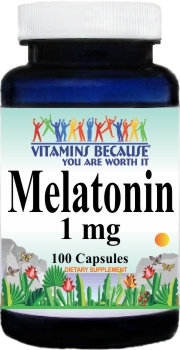 DIRECTIONS: For adults, take one (1) capsule daily, at bedtime as Melatonin may produce drowsiness. 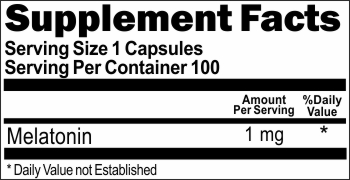 Do not exceed three tablets in a 24 hour period. WARNING: Not intended for use by pregnant or nursing women. If you are taking any medications, consult your doctor before use. Discontinue use and consult your doctor if any adverse reactions occur. Do not drive, operate machinery or consume alcohol when taking this product. Limit use to two months with a break of one week. NOT INTENDED FOR USE BY PERSONS UNDER THE AGE OF 18.